The first day of the Discovery Get Active weekend drew to a close on Saturday 11 February with the triumphant ring of the South African anthem. 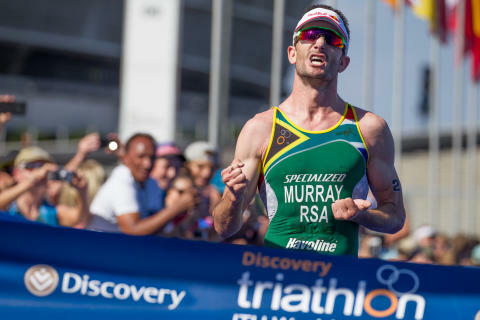 The men’s elite sprint race was dominated by green and gold with Richard Murray in first place despite a 10-second transition penalty. 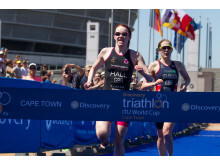 He was followed closely by Olympic bronze medalist Henri Schoeman and Wian Sullwald in third. “There were perfect conditions for all those who took part today, and fantastic crowd support for the elites. Our South African athletes stepped up and made their country proud. It’s been an exciting day from the first age group to the elite races,” said Gary Marescia, Discovery Get Active Weekend Race Director. More images and footage available on request.